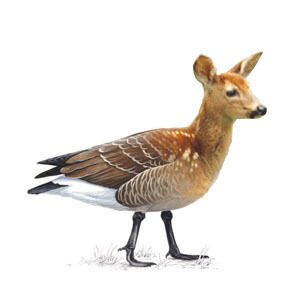 What do you get when a deer and a goose hatch eggs together? 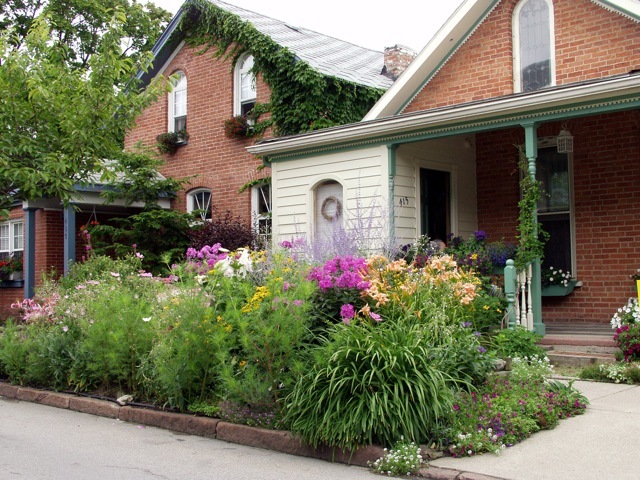 Being an urban gardener, we don't have deer issues to contend with, until now. It's all the rage here in Buffalo -- a goose has laid down with a deer. And they're expecting deerslings, or fawnslings or baby deerse or something. 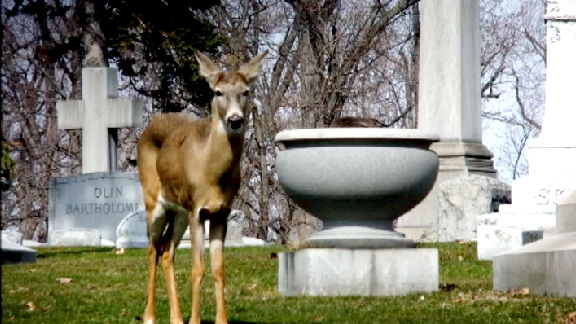 A goose that has lost her mate is being protected by a deer in Buffalo's Forest Lawn Cemetery. The deer will put itself between the goose and an intruder anytime one comes close. For about two weeks now, the deer, with a quick jaunt away for food once in a while, and an occasional run with a jogger, has taken to hanging out with a goose nesting its eggs. At first officials & media were keeping the location secret, as to not disturb the happy couple. Secrets don't last long here. They've now put up snow fencing to keep people at bay, and have installed a webcam, so they can be watched live (with night vision too!). Like THAT'S not an invasion of the couple's privacy. My wife jogs in the cemetery once in a while and this deer has run with her. It always runs off to the side, and a few paces behind. Or maybe my wife just runs faster than the deer. The deer & goose family shares this cemetery with President Millard Fillmore and Rick James, among other resting luminaries. 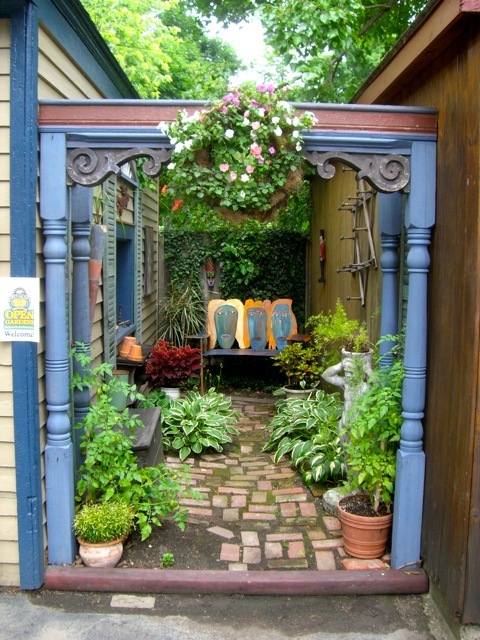 Garden Walk Gardener (and WGRZ TV 2 weatherman) Andy Parker broke the story a couple weeks ago. A friend does the Cemetery's PR, and with the national media having picked up on this story, she's been busy. At the same time, she's also dealing with another cemetery, in this group of cemeteries, that has an iron fence that suicidal deer have been miscalculating their jumps and eviscerating themselves (slowly) to the non-delight of residents. There've been only six cases in 10 years reported, but you can see where this would be a problem. 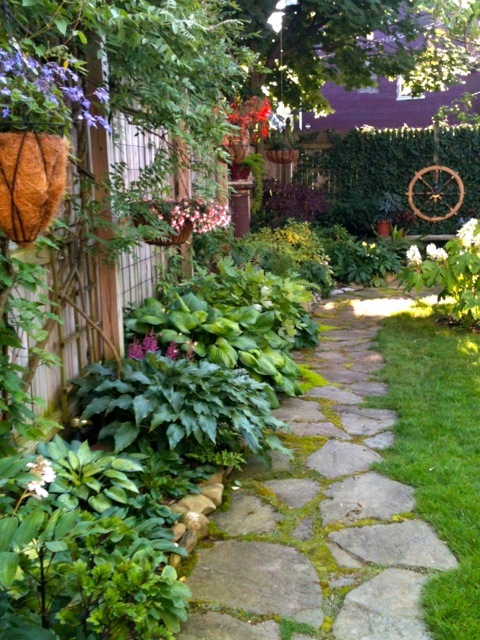 City folk have deer problems, but it's not from eating hostas. I couldn't get other videos to play on my computer. What an interesting story.